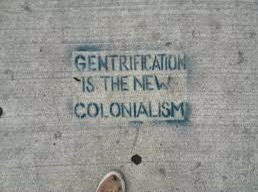 Simply stated: gentrification is when they, the powers that be, have ruined cities that used to be mostly populated by people of color and the liberal children of the those who left during White Flight come back to rename areas of cities that POC have been living in for decades. Then all of a sudden businesses that would have nothing to do with urban areas start popping up everywhere. Then houses and apartments start costing too much so the POC who’ve been there all along can’t afford to live there anymore so they get evicted. After a bunch of evictions, the houses, apartments and other units get renovated, the neighborhood or burrow gets a cool new name. More people move in, urban gardens get planted, the streets get cleaned and the economy sees a surge. 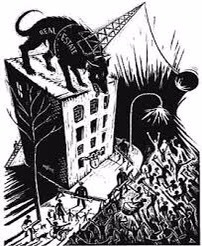 Ok… so that wasn’t a simple explanation, but it encapsulates the oxymoronic nature of the beautiful monster, gentrification. Here in Detroit, it’s hard to love it while watching what it is doing to my family and family friends. Taxes are astronomical so it’s hard to keep up with them as well as the super high water rates. When people fall behind everybody blames them for not paying bills. It totally makes sense, no bill pay, no water. No taxes paid, no home. But it’s not that cut and dry. However, that’s beside the point.While I watch people fight to keep their homes, I drive ten minutes away from my home on the Northwest side of the city and end up in Cass Corridor. You probably know of it as “Midtown.” And I look around and realize it’s a completely different city. I ride downtown and inevitably think to myself “Why did they come from?” The bike lanes. The neighborhood names. The coffee shops. The new parking meters. The White people. 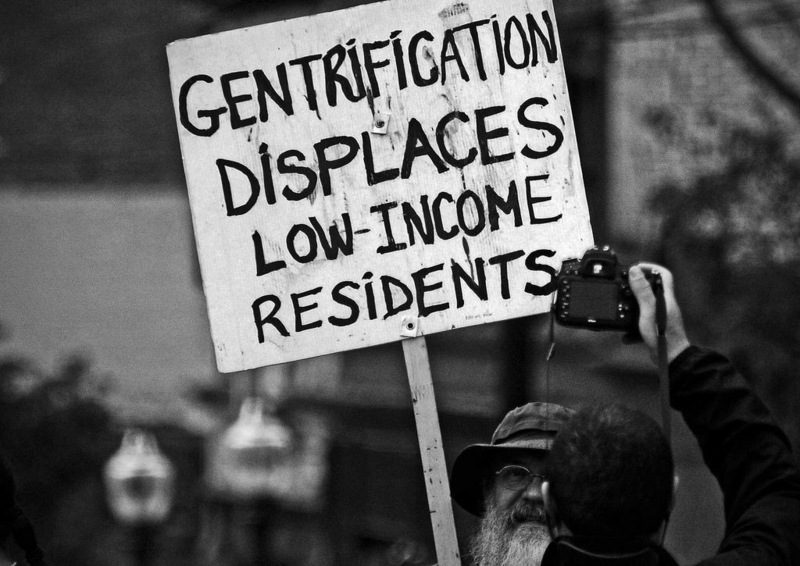 The diversity that comes from gentrification is beautiful. The way natives are being mistreated, displaced and forgotten is monstrous. The schools of Detroit Public Schools (DPS) are being stripped. The teachers are being forced out and being made to look like the villains. Before you know it, DPS won’t exist. Children are being forced to go to schools that don’t have heat, updated books, or enough certified teachers to teach. Everyone knows that a quality education is one of the prerequisites to a successful life. The lives of those children matter because all lives matter. You might have heard about the Sick Outs, but just in case you haven’t let me catch you up. DPS teachers are calling in sick, in droves. So many are calling in because they really are sick. They’re sick of losing their benefits. They’re sick of taking paycuts. They’re sick of having to teach 40 students per class. 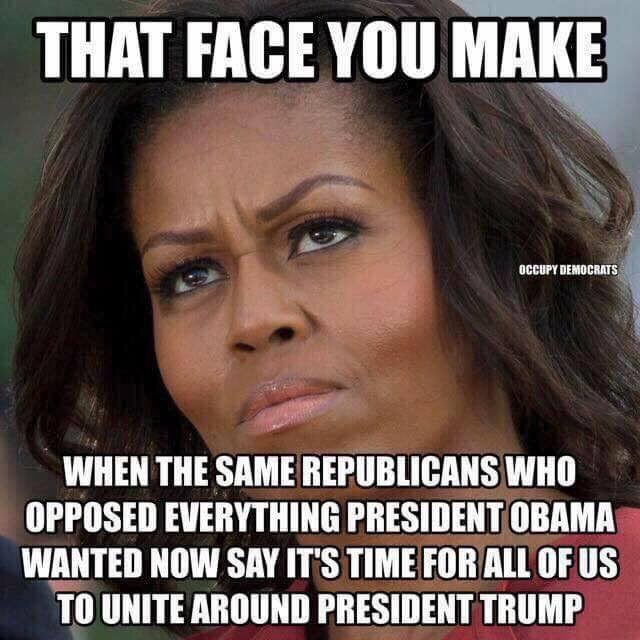 They are sick of losing funding. They are sick of being blamed for the failing system. They are sick of knowing that their school district is being intentionally and systematically dismantled by the institution that claims to be supporting them, the state. They are sick of not being able to live lives like people with full time jobs. Their lives and livelihoods matter because all lives matter. So yea, they’re sick, but probably not as sick as our neighbors in Flint. I know you know about the genocide poisoning unfortunate event that is the lead filled water that’s plaguing the city of Flint. So far, only ten people have died. You and I know that even ten is too many because all lives matter. Different organizations are working together to donate bottled water to the citizens of Flint. This needs to happen because city officials have officially declared that the brown colored water is safe to drink and bathe in. Detroit and Flint used to be heavily populated cities. They attracted lots of people in decades past because so many jobs were available in car plants. Over the years, the jobs were moved to the suburbs, but the people (who couldn’t afford to move) stayed. Schools are funded based on the property values of the homes surrounding the schools. If neighborhoods are poor so are the schools. Poor schools lose resources and materials. Then, class sizes increase and test scores decrease. The government uses the test information as proof that the teachers, administrators and school board are inept and the solution is for the state to take over. This happened in both Detroit and Flint. I could say more, but I want this message to reach the people it’s intended to reach before I divulge more details about the crimes being committed against Black people of color poor people citizens of Michigan so please send this to the leaders of All Lives Matter of Michigan. Fundamentally, we agree. 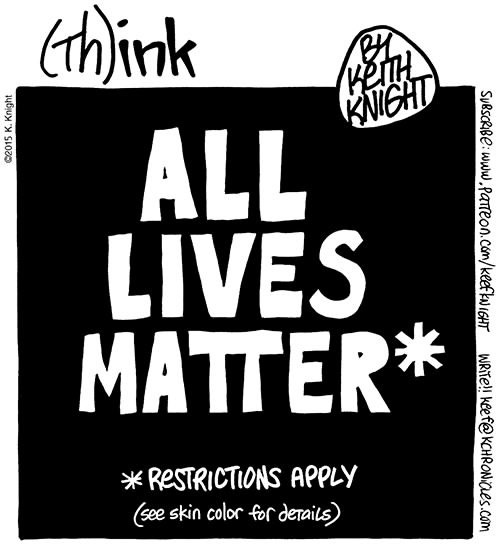 All lives matter. The way we show that is different though. Let’s meet and discuss this. P.S. Please tell the modern day slave auctioneers who break up families Child Protective Services (CPS) that it isn’t ok for them to come and take citizens of Flint’s children because they are refusing to pay water bills for polluted water.